We are looking for an enthusiastic Locum Consultant with Specialist Interest in Medical Retina to work in our dynamic and expanding Ophthalmology team. Full time and part time applications are welcome and the posts are available as soon as the ideal candidates are found. We would welcome applications from individuals with experience in general ophthalmology with a sub specialist interest in Medical Retina that will support the delivery of the demands of the service. Candidates for this role must have Full GMC registration with a Licence to Practice and recent experience within the NHS. You will be expected to possess FRCOphth (or equivalent qualification). 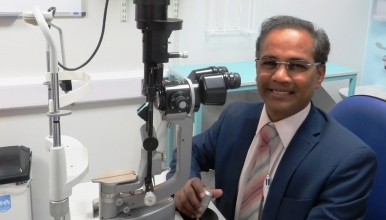 The Trust have recently undergone an £800,000 major redevelopment of the Ophthalmology department which will transform the department that provides services for over 500,000 patients spread over the large County of Shropshire, encompassing Shropshire and Wales.